The first fence product on offer this month is the Treated Softwood Fence Post 75mm x 75mm x2400mm. Complete your fencing project with this fence post, it is sturdy and compliments your home exterior perfectly. This product is priced at £4.99 excluding VAT, use code FPW8ONLINE by March 31st at either the Bulwell, Daybrook, Mapperley, Ripley, Sheffield or Somercotes Frank Key Branch. Our next key deal for March is the perfect product to compliment your fence post. The Drive in Fence Post Spike Bolt Fix (75mm x 75mm x 600mm) is the easiest way to secure your boundaries easily for the small fee of £2.99 excluding VAT. To benefit from this offer, take code FPMETPSB75600ONLINE to any of the Bulwell, Daybrook, Ripley, Sheffield or Somercotes Frank Key branch and use by March 31st. 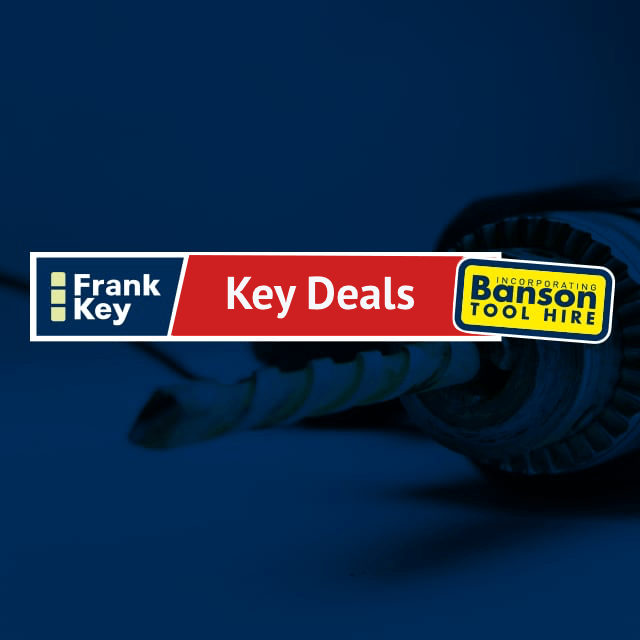 Frank Key’s third key deal for March is the Grange Lap Panel (1830mm x 180mm) fencing product, make your garden boundary the envy of your neighbours with this exceptional Frank Key deal. This product is priced at £13.49 excluding VAT and you should use code FPWECH6ONLINE by March 31st in any of the Bulwell, Daybrook, Mapperley, Ripley, Sheffield or Somercotes Frank Key Branch’s. The final key deal for this month is on the Grange Trellis (1830mm x 310mm), this product is the best way to add the perfect finishing touch to your fence. The product is priced at £13.49 excluding VAT and is available on offer until March 31st. This offer can be used in the Bulwell, Daybrook, Mapperley, Ripley, Sheffield or Somercotes Frank Key Branch’s by using code FWTRE6X1GONLINE. If you would like to find out more about our fencing products then make sure you download our brochure, or to hire any Frank Key products then ensure you find a stockist near you.